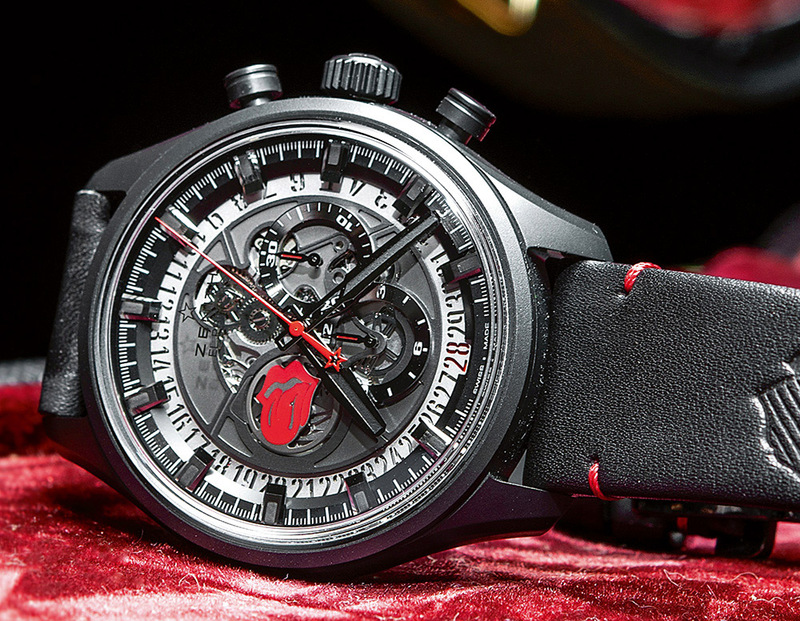 A legendary timepiece for a legendary group. 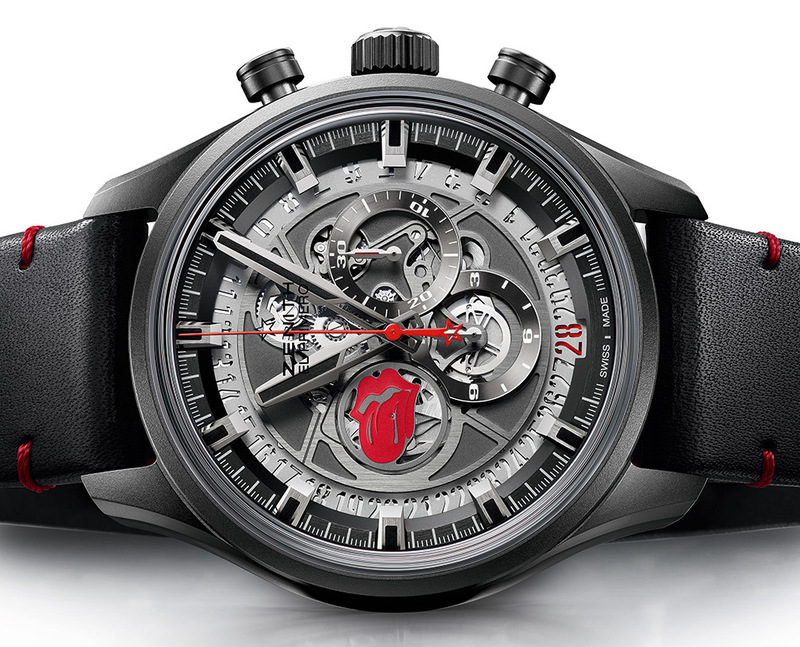 Swiss luxury watch maker Zenith has decided to honor the “World’s Greatest Rock’n’Roll Band”, the Rolling Stones, with a very special version of the brand’s exquisite El Primero Skeleton watch. 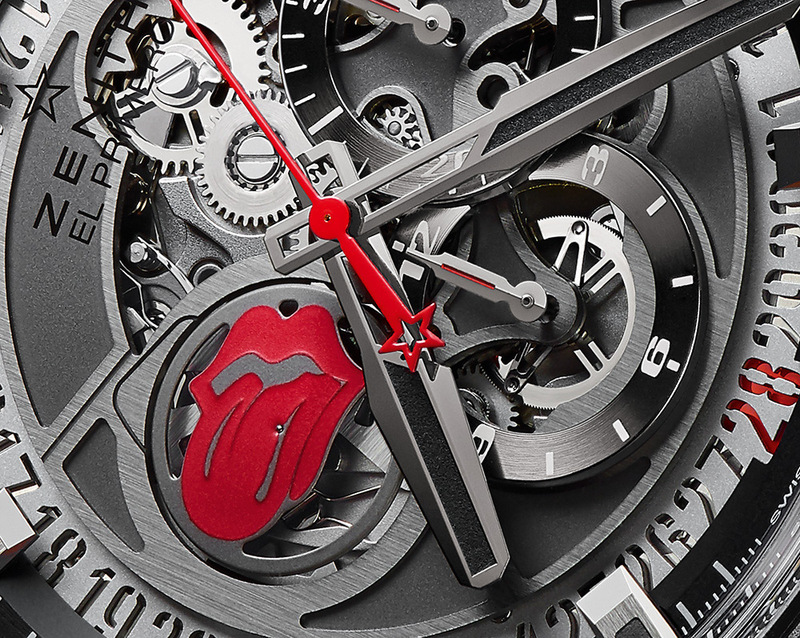 Back of a 45 mm matte black ceramic case features iconic Rolling Stones tongue logo. 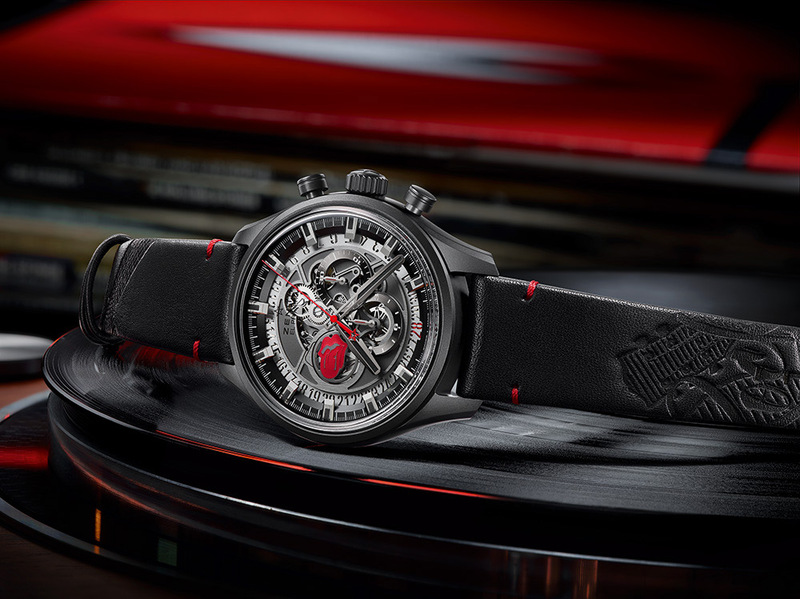 Black dial features 30-minute counter at 3 o’clock, 12-hour counter at 6 o’clock and “open heart” cutaway display with seconds sub-dial at 10 o’clock. 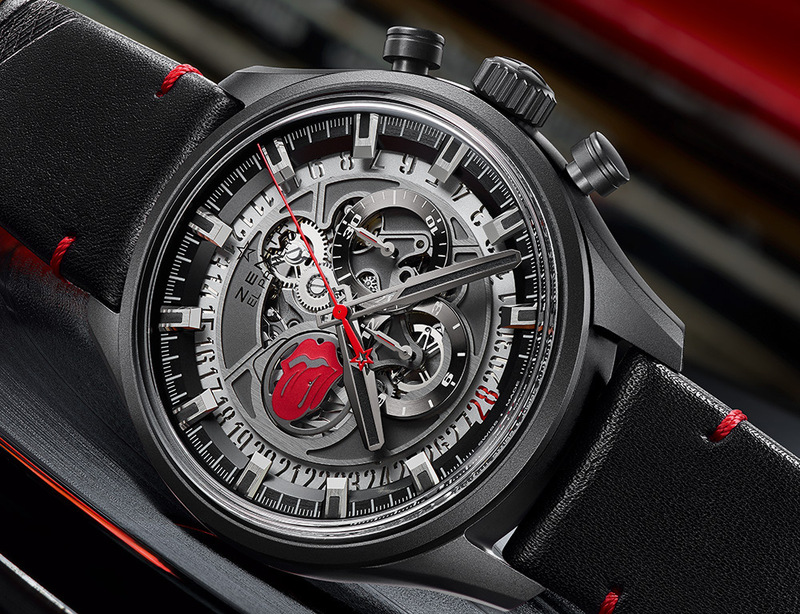 It features the automatic El Primero 4061 chronograph movement, which contains 31 jewels, 282 parts. The watch has power reserve of 50 hours. 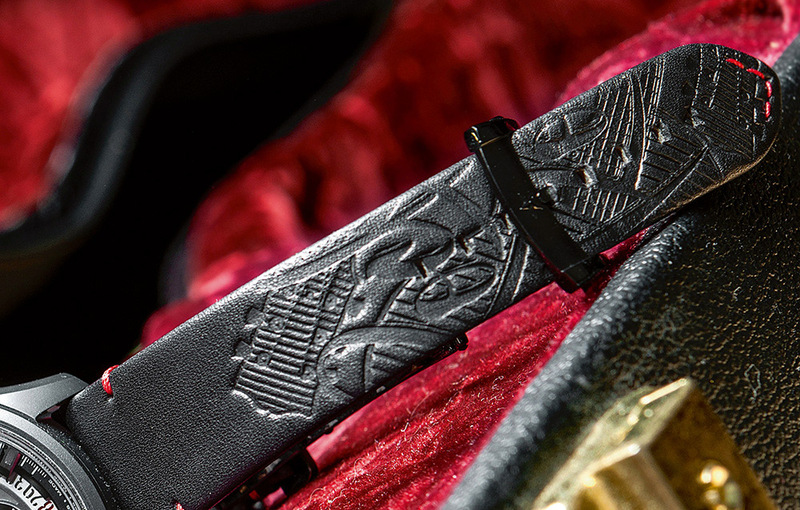 It comes on black leather strap with imprinted Union Jack flag with deployant buckle.